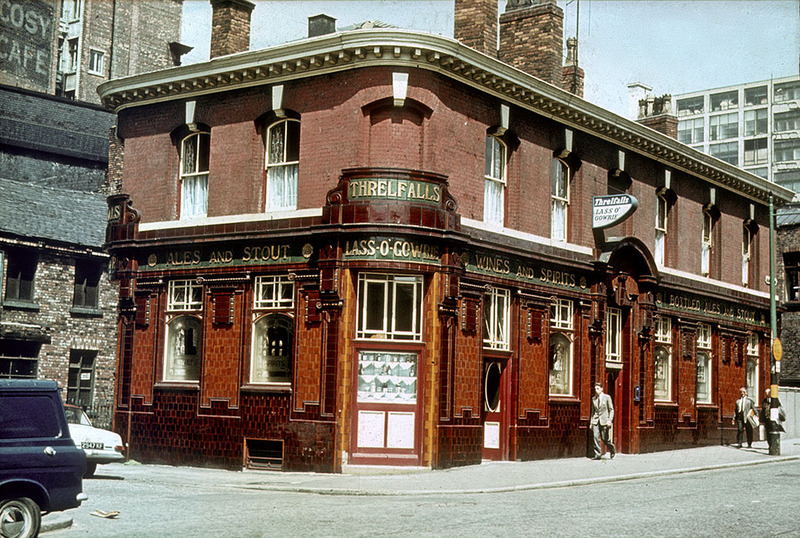 Colour photos of Manchester pubs in the 1960s and 1970s. 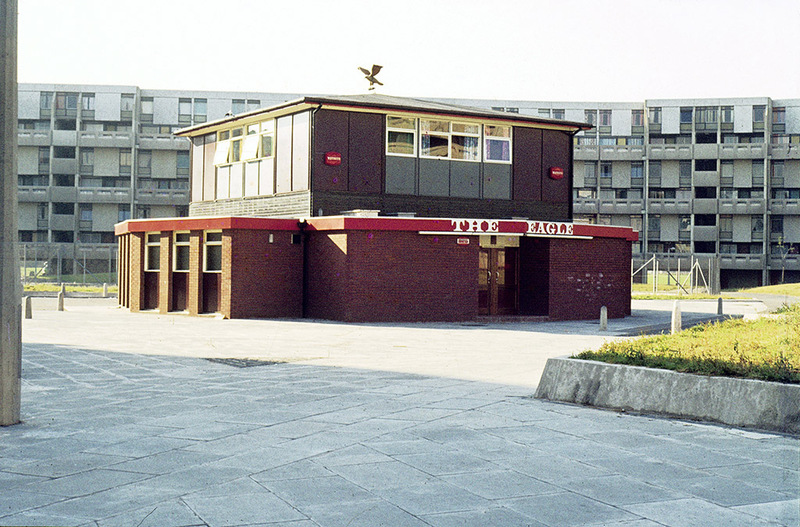 The Eagle pub on Hulme Walk, Hulme, around 1972. 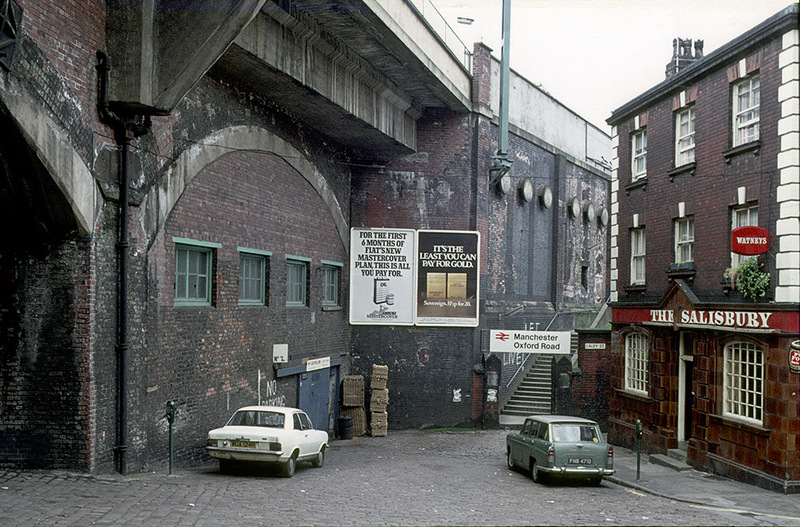 Robert Adam Crescent can be seen in the background. 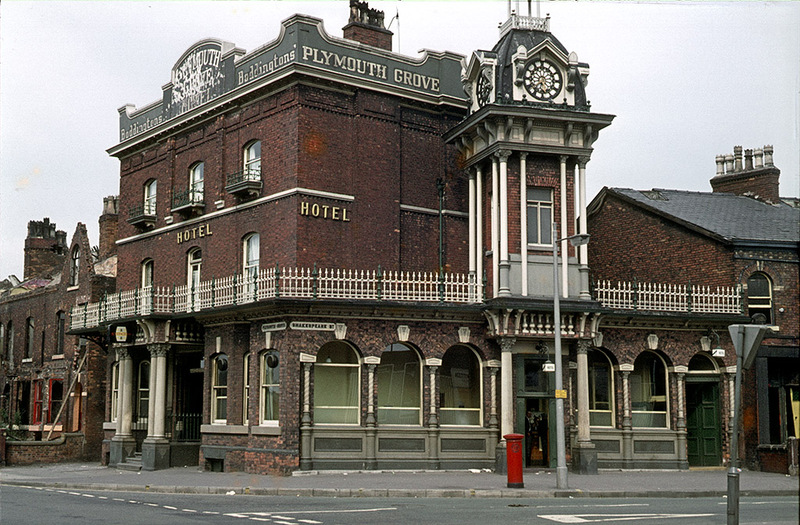 The Plymouth Grove Hotel at the junction of Plymouth Grove and Shakespeare Street, around 1969. 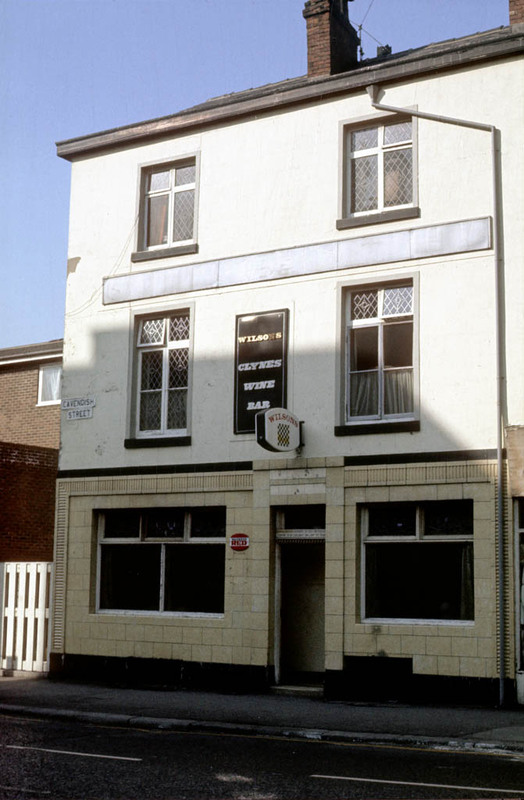 There are Manchester pubs than there was. That’s typical of the UK as a whole. 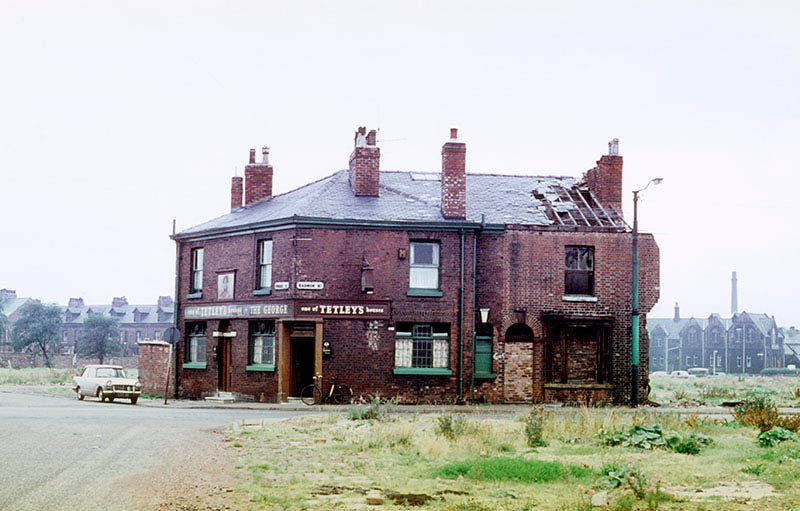 The country has seen 21,000 pubs close since 1980. 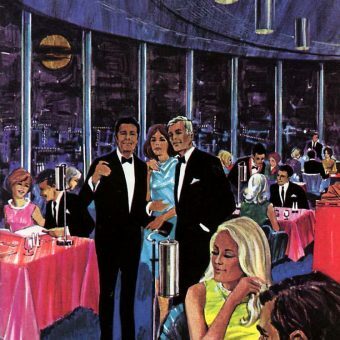 In 1969, there were approximately 75,000 public houses in the country. By 1980, this had fallen to 69,000 and numbers have gradually continued to fall, dropping to under 60,000 for the first time in 2003… The number of pubs plummeted from 58,200 in 2006 to 48,000 in 2013, a drop of 18 per cent in just seven years. The peak in pub closures came in 2009, with 52 pubs shutting down each week, but pubs were still closing at a rate of 31 a week in mid-2014, according to the Campaign for Real Ale. (via IEA). 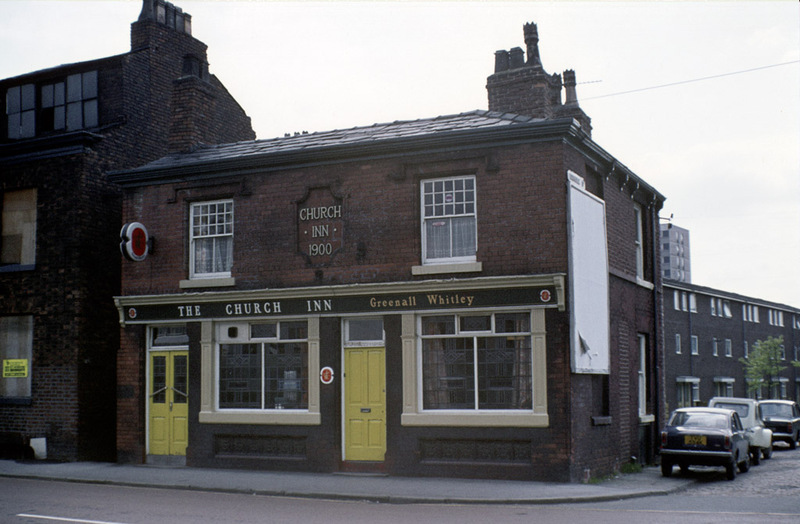 The Church Inn on Cambridge Street, All Saints, around 1972. 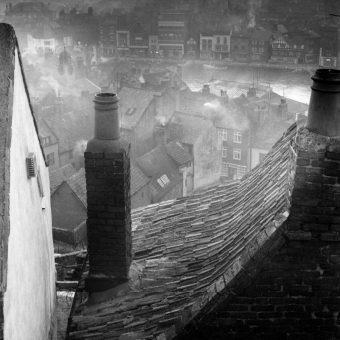 View along Rosamond Street West from Cambridge Street, with the Sikh temple (Gurdwara) and the York Minster pub on the corner of Higher Chatham Street, around 1967. 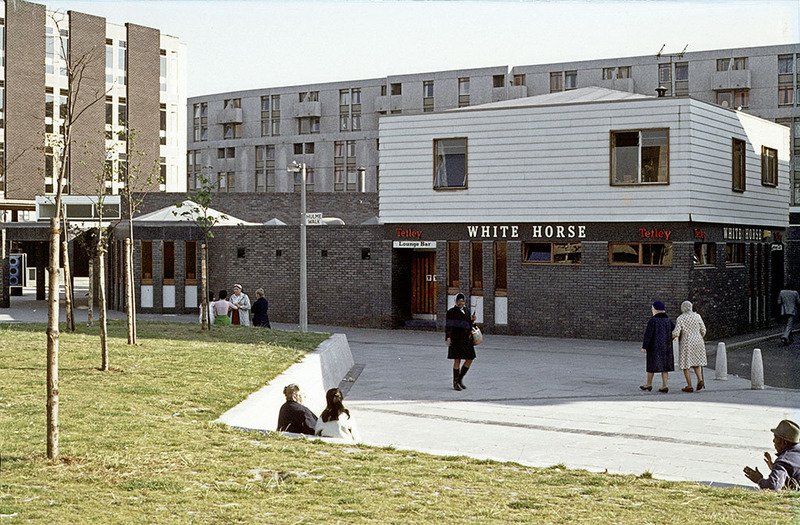 The White Horse pub on Hulme Walk, Hulme, around 1972. 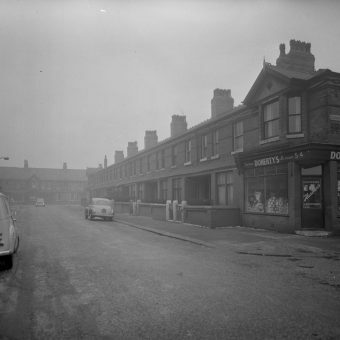 John Nash Crescent can be seen in the background, with Hulme Library and the Clopton Walk shopping precinct to the left. 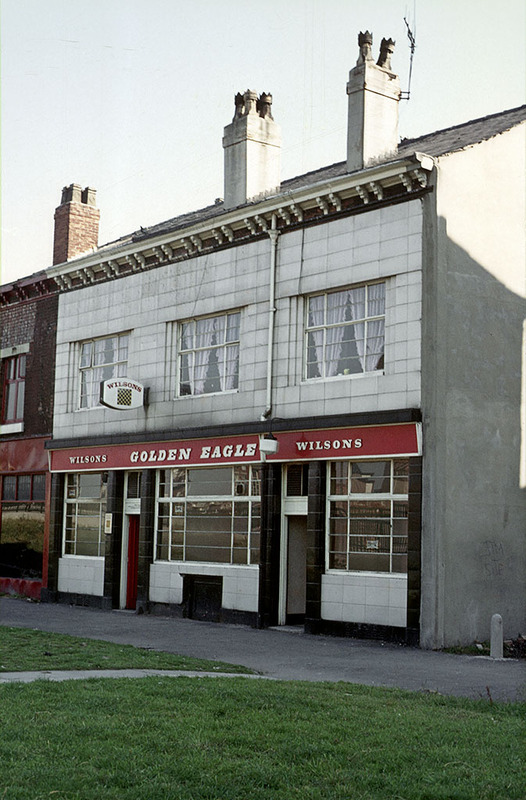 The Golden Eagle pub on Hulme Walk, Hulme, photographed a few years before its closure in 1976. 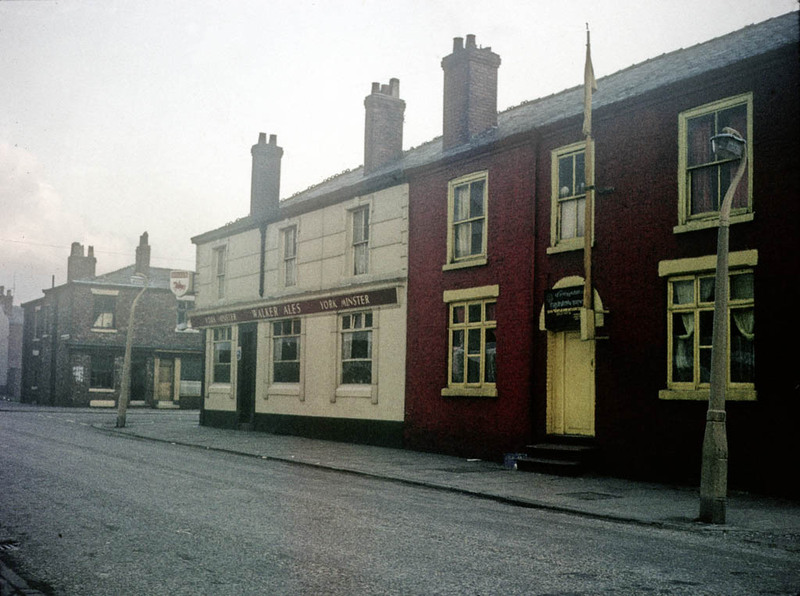 The pub and the post office next door stood on part of the site now occupied by MMU’s new Birley Fields campus. 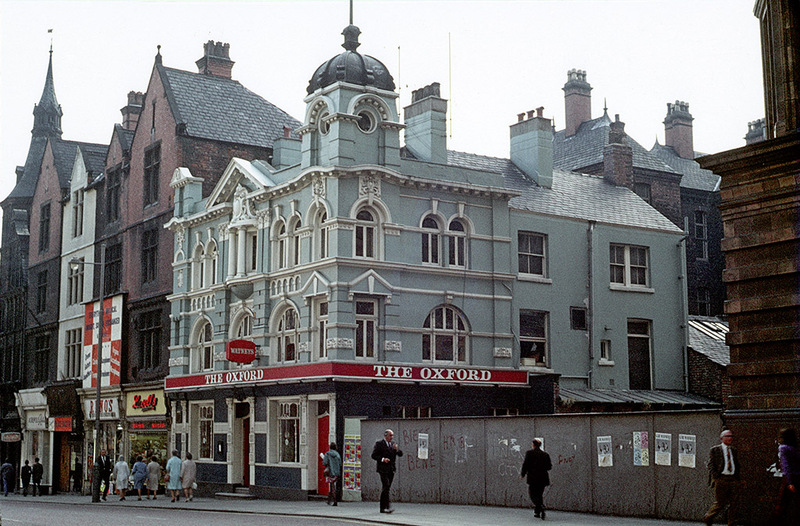 The Lass O’ Gowrie pub on Charles Street in the late 1960s. 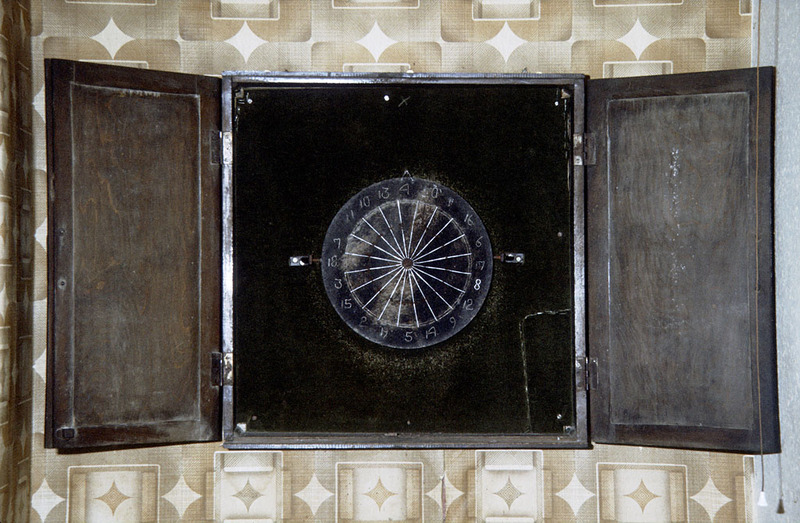 A well used Manchester dartboard in the vault of the Lloyds Arms on Higher Ormond Street around 1974. 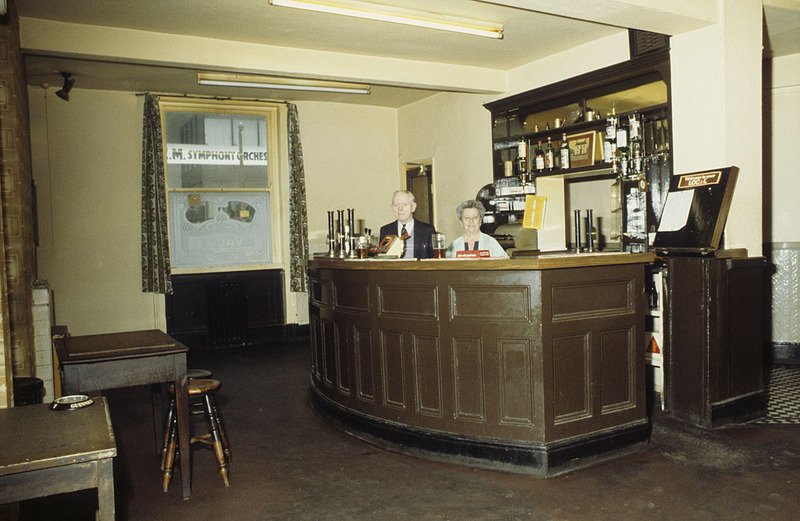 The vault in the Lloyds Arms pub on Higher Ormond Street, All Saints, Manchester, around 1974. OThe Salutation Hotel (popularly known as ‘The Sally’) at the junction of Higher Chatham Street and Boundary Street West. 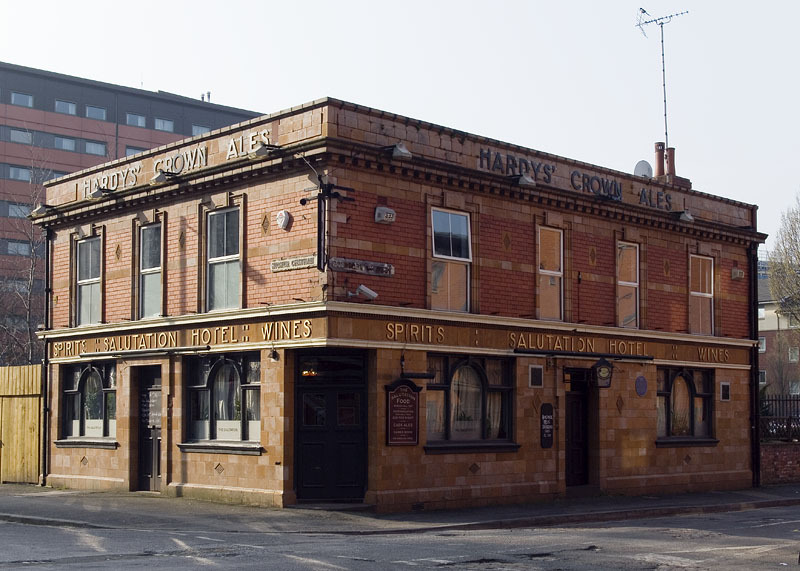 This Victorian public house became part of MMU’s estates when it was purchased by the university in 2011. 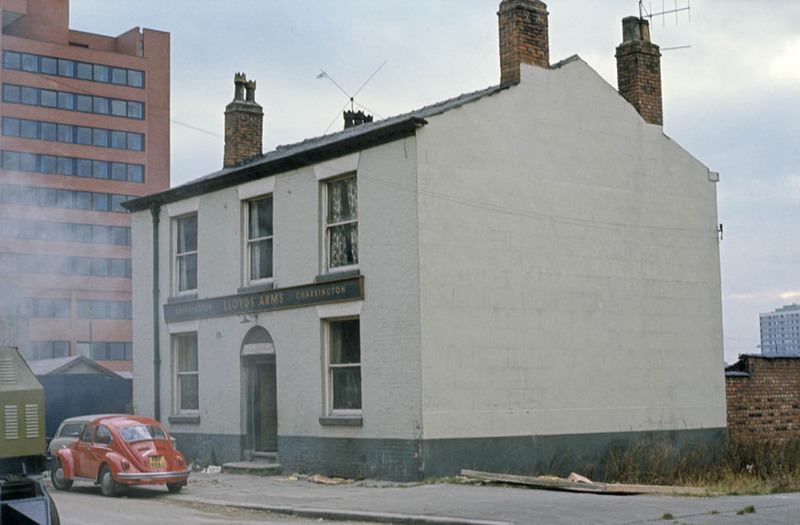 Exterior of the Lloyds Arms pub on Higher Ormond Street, All Saints, Manchester in 1971. 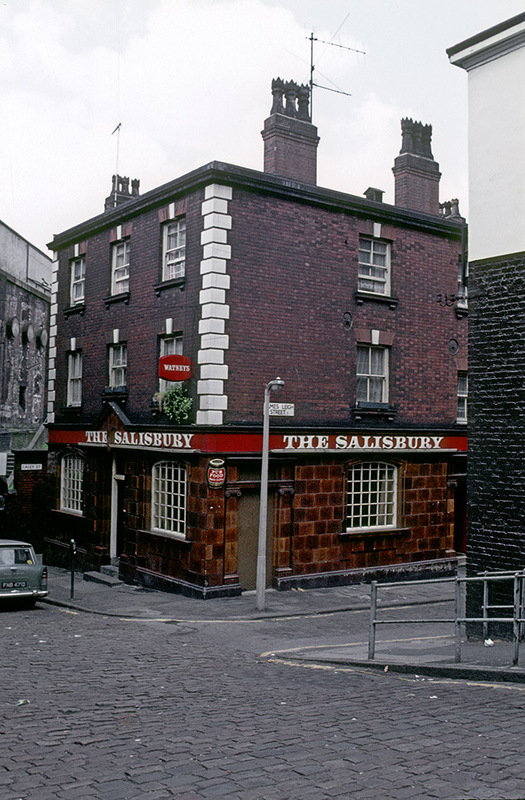 The Salisbury public house on Wakefield Street, around 1974.